Covenant Foundation hosts numerous events and fundraisers each year in communities across Alberta to raise funds for programs and services at Covenant Health, Covenant Care and Covenant Living facilities. Please see our event listings below to register today! If you are interested in hosting your own fundraising event, please visit our Community Events page for details. Join us on Saturday, October 5, 2019 for our annual Harvest Moon Ball in support of Covenant Health's St. Michael's Health Centre and St. Therese Villa in Lethbridge. Buy a ticket and support your local hospital and community. More than $6 million in cash to be won! 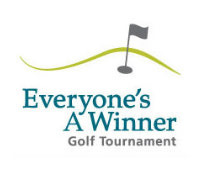 Join us on Monday, August 19, 2019 to experience a day on the golf course like no other and help transform health care for patients and residents at Covenant facilities across Alberta. Lethbridge's premiere fundraising golf tournament is back and better than ever. Join us on Tuesday, July 9, 2019 for fun, food and prizes, and make a difference in the lives of patients and residents at St. Michael's Health Centre and St. Therese Villa. Join us on Sunday, March 24, 2019 from 2 p.m. to 4 p.m. for an afternoon of tea, treats and music. Tickets: $25. On Wednesday, July 10, 2019, experience an unforgettable day on the green while knowing your contribution is making a difference in the lives of Youville Home residents.